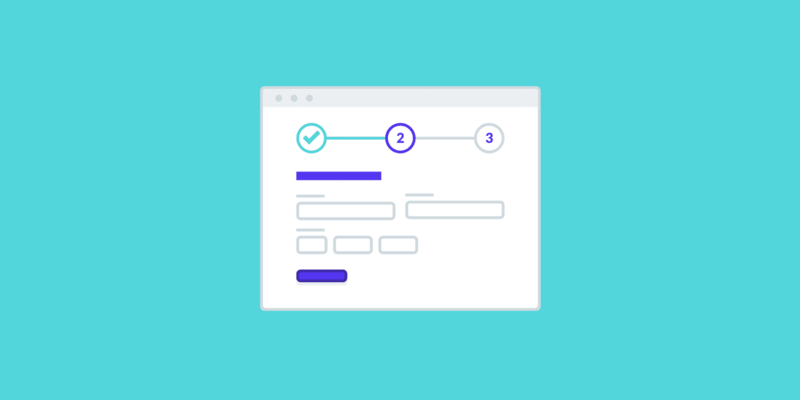 If you are a Kinsta customer you can take advantage of our free migration service. But some of you may prefer to do it yourself, maybe due to sensitive data or perhaps you just want to do it immediately rather than coordinating with us. Below are a couple options for migrating your site yourself. Depending on the size of your site, this can typically be done in a few hours. Before proceeding with either of the options, we always recommend taking a backup first at your old host. Log in to https://my.kinsta.com and click on the “Sites” menu on the left-hand side. Click on the “Add Site” button. Choose from one of our 17 Google Cloud Data Center locations. Then fill in the site name. Please use a descriptive, one-word name without any special characters in it. 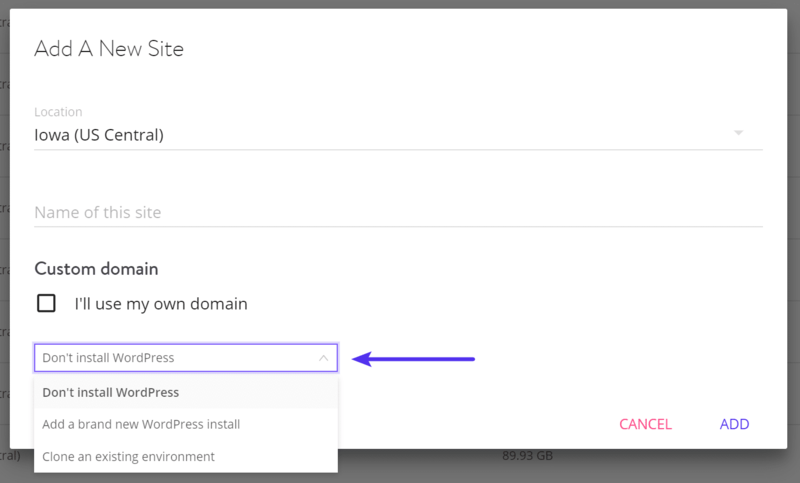 If you’re doing a manual migration, we recommend selecting the option: “Don’t install WordPress.” Then fill out the rest of the credentials. Note: These don’t need to match your current site as they will get overwritten later. Wait until the status of the Site goes “Live”. Click on “Manage” to see the details of your site. 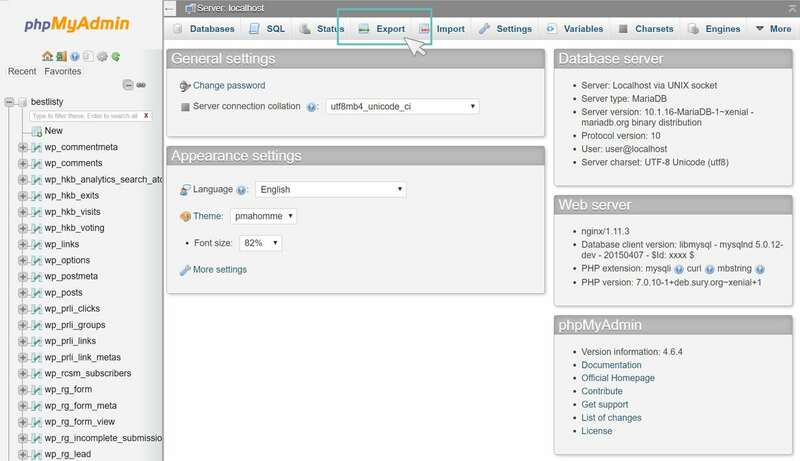 Open a new tab and log in to your old hosting account, get your FTP and PHPMyAdmin details. Usually, you can find these credentials in your Cpanel. If not, you can reach out to your old host and request the information. You can alternatively use a plugin like Duplicator to do the migration. 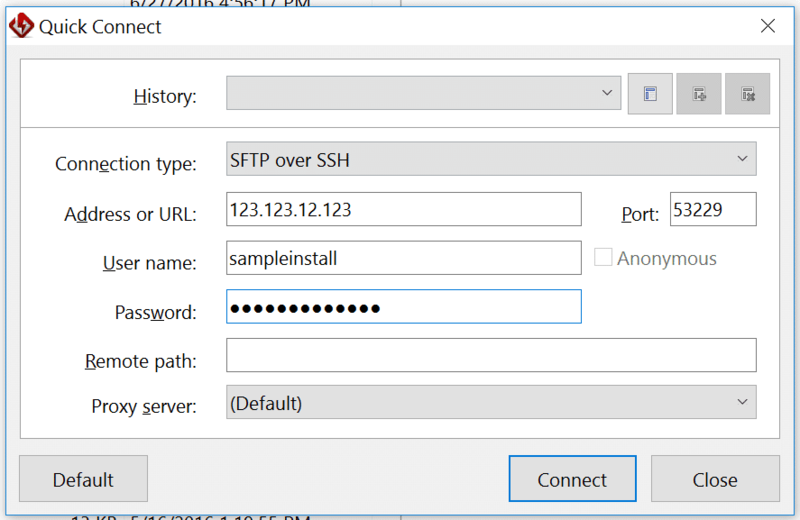 Use any FTP client to connect your site via FTP and download your site’s files to a separate folder on your computer. You typically will want to download everything from your /public/ folder. 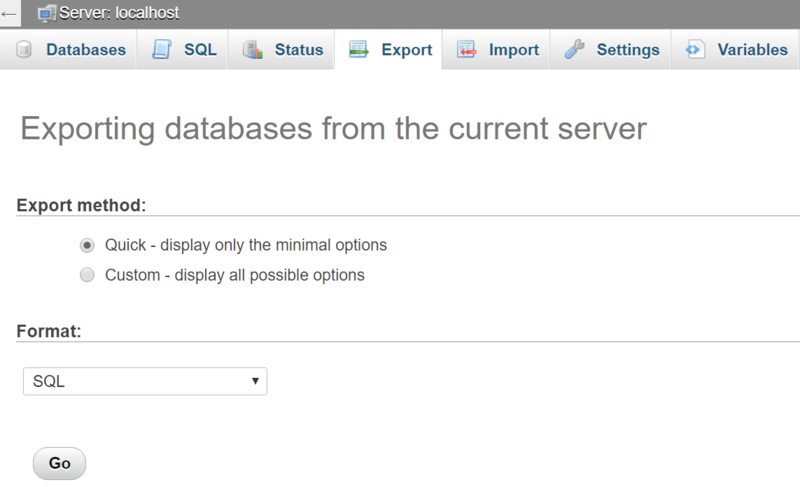 Open the MySQL editor (usually phpMyAdmin) and click on “Export” at the top to export your database. 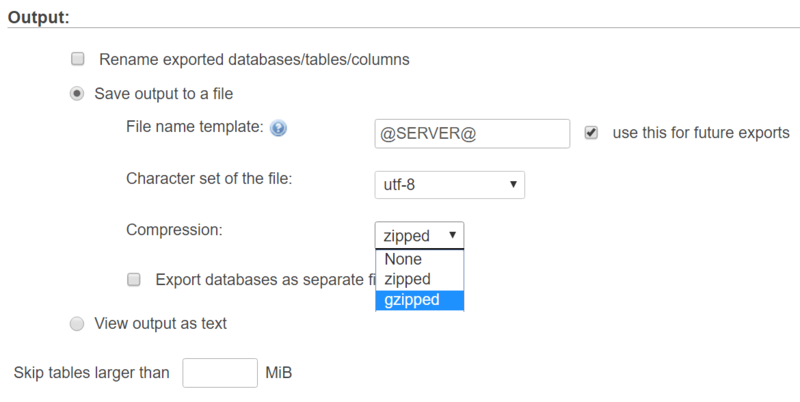 For larger databases, it is better to use the custom option to download your export in a smaller zip or gzip archive. 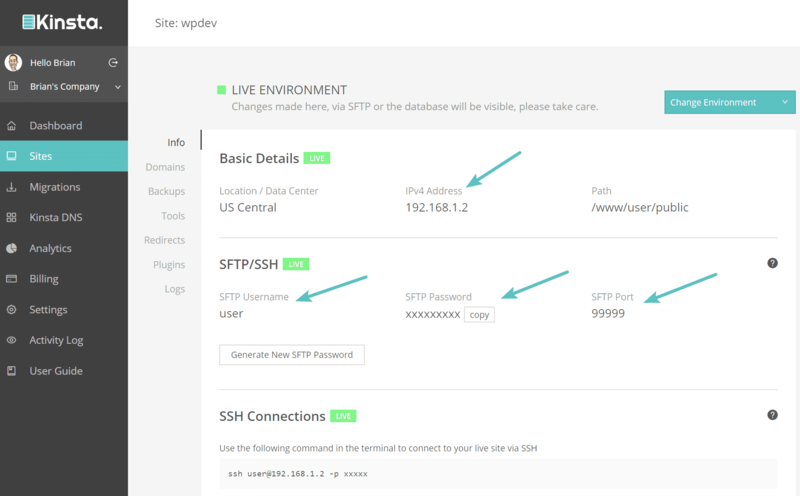 Go back to https://my.kinsta.com, go to your Site Details page and use the SFTP credentials to log in to your server. Upload the contents of the /public/ folder you downloaded earlier into the /public/ folder on your new Kinsta site. Log in to phpMyAdmin, and you can find the login details and link to it on your Site Details page (DB Name & DB Username, DB Password). Click on your database on the left-hand side. The database name should correspond with your Kinsta’s site name. 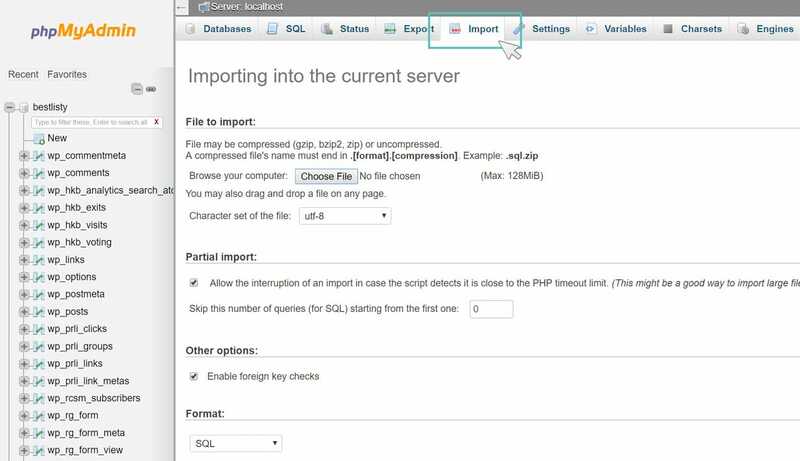 Go to the Import menu and upload the MySQL backup. If your site’s database is bigger than the 128 MB file limit, then please upload the file into the private directory, use our support ticket system to contact us and we’ll import the database for you. Go to Sites/Manage/Domains and open the SITENAME.kinsta.com domain to check if your site looks as it should. Please be aware that once you click on any of the links on that page, it will take you to the original site at your old hosting. 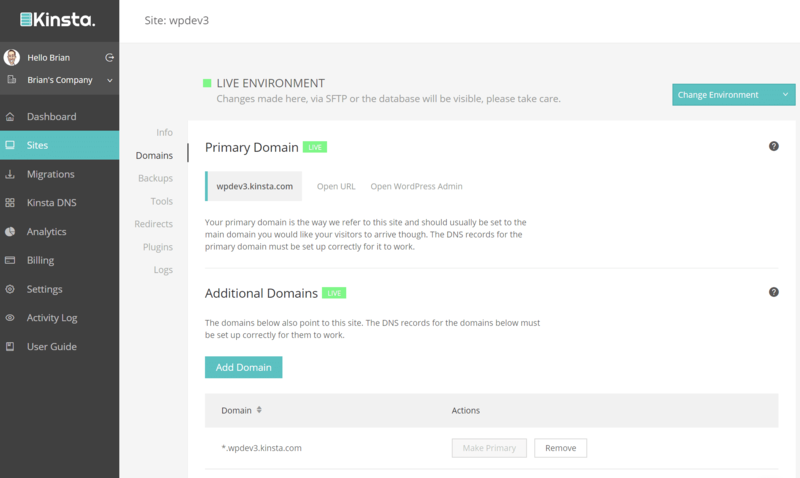 If you used your live domain during the install creation, you can preview your site by changing your local hosts file. Add your final domain at Sites/Manage/Domains (if you haven’t already). Please make sure you add “yoursite.com” and “www.yoursite.com” if you use both versions of your domain. Update your DNS settings to point at Kinsta. If you have any trouble with your WordPress migration feel free to reach out to us via a support ticket. → Does Kinsta Offer Free Migrations? 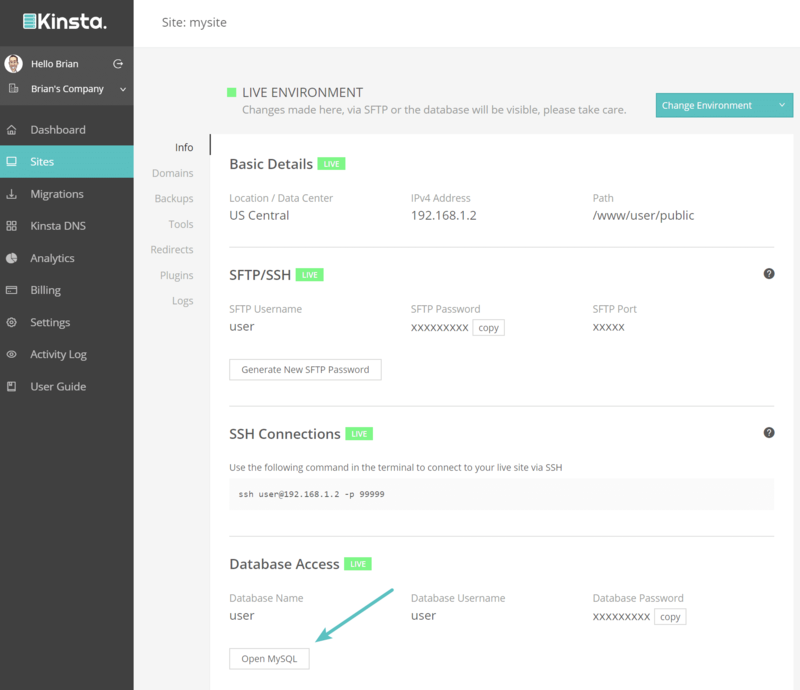 → Does Kinsta Support a SPDY CDN? → Do You Offer Domain Registration?